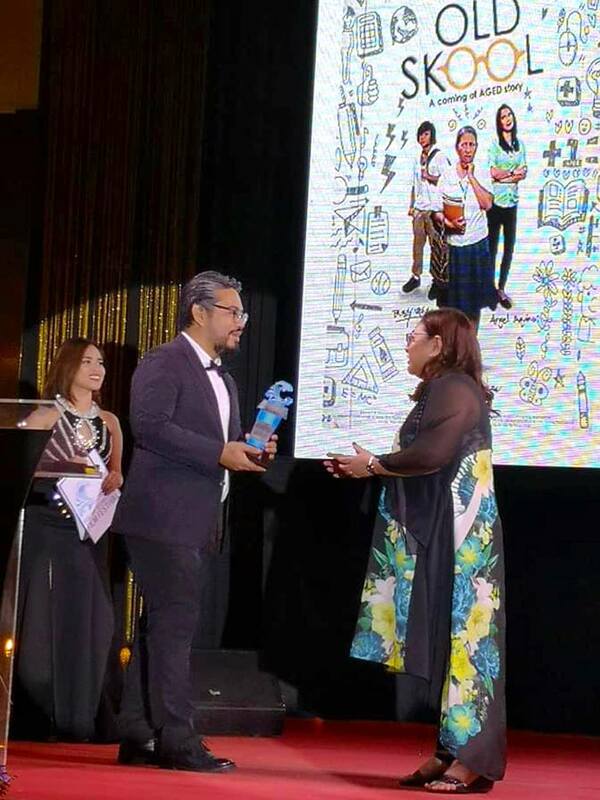 SUBICWATER CEO Benjamin “Bubong” Antonio III presents the “Best in Music” award to Cia Hermosa-Jorge, director of the film entry “Old Skool”, during the awards night of the first Subic Bay International Film Festival held on June 24. Antonio sat on the jury that evaluated the six film entries this year: “Bhoy Intsik” by Joel Lamangan; “Old Skool” by Hermosa-Gorge; “Ang Araw sa Likod Mo” by Dominic Nuesa; “Isang Hakbang” by Mike Magat; “Rolyo” by CC Woodruff Jr.; and “Balatkayo” by Neil Tan. “SUBICWATER supports events like this, as we think Subic desperately needs to revitalize its arts scene. An annual film festival is a good anchor; the place where Pinoy rock set its roots will now have the beginnings of its own film industry, thanks to the efforts of Vic V. Vizcocho Jr. and Arlyn dela Cruz,” said Antonio. It can be recalled that the company celebrated its 20th year thanksgiving in March this year through a music festival featuring one of the top acts during the US Navy days– the homegrown rock band “Maria Cafra”.